The landscape of investing is changing rapidly. No longer are you limited to investing in stocks and bonds via traditional trading companies. 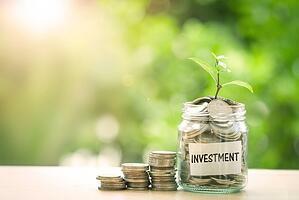 Now you can take a more active role in your investments by putting your money into alternative investments. The term "alternative investments" is used to describe a wide range of new investment products outside of the stock and bond markets. Some common alternatives include real estate and commodities trading. However, there is a new generation of alternative investments which include things like peer-to-peer lending and self-directed IRAs. In the past, diversification of your investment portfolio meant splitting your assets between stocks and bonds to achieve a risk profile that matched your needs. Today, more people understand that the stock and bond markets are intrinsically tied together and even diversifying between the two does not provide enough of a safety net. Going outside of these traditional investments and exploring alternative investments creates a broader portfolio that functions independently of Wall Street. Even with a high-risk stock portfolio, the average rate of return has remained fairly stable for decades, and the potential for disaster is always looming. With alternative investments, it is possible to find consistently higher returns with fewer downsides. Real estate is a great example of this. With stocks and bonds there is a very steep learning curve before you can be actively involved in your investment strategy. Most people sit back and let their advisors drive their portfolio for them, for better or worse. The good news is that alternative investments tend to be more geared toward independent users who want to control their experience and portfolio on their own. For instance, you can choose to invest in businesses whose mission aligns with your worldview. Many of these new investment platforms are intuitive for the user and offer plenty of tutorials to help you make educated decisions without paying a premium for financial advice. Alternative investments are set to change the way future generations plan for retirement and wealth building. They are more than just fringe options that exist for people who don't want to play the stock market. Now they are becoming a major part of a well-rounded portfolio for anyone who wants fewer risks and more rewards. They take many forms and are driven by a growing interest by consumers to be involved in the investment process.